Hello! 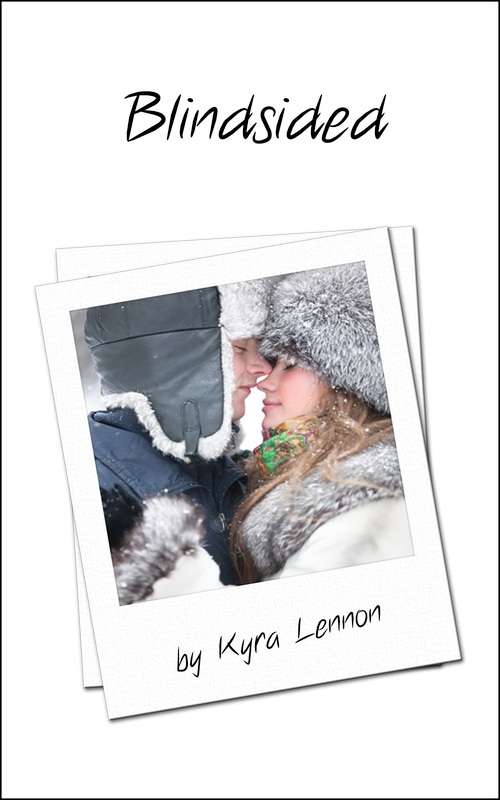 Today I'm hosting the irrepressible Kyra Lennon as part of her Blindsided Blog Tour. There's some hair-raising fun in store, so strap yourself in! Without further ado, I'll hand you over to Jesse, Blindsided's MC. Hey guys, Jesse here! Isabelle, Georgia and Willow dragged Hunter and me to this awesome place called Winter Wonderland. It’s in Hyde Park, but it’s only there in the lead up to Christmas. You’ll learn all about it in Blindsided, but I wanted to show you some photos from the park! 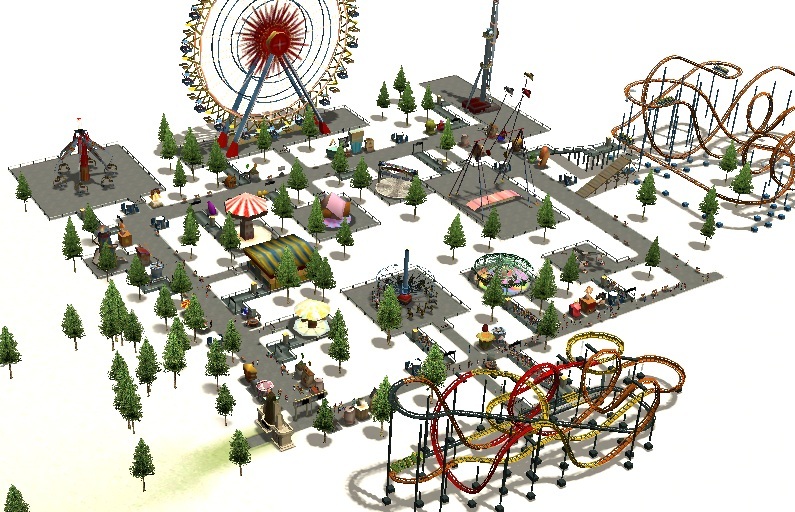 Kyra is such an enormous dork, she re-created Winter Wonderland on her computer – here are some photos for ya! Jesse: Well … you didn’t go on them either. Isabelle: Yeah but … okay, you got me there. It was more fun to stay down here with you anyway. Jesse: *hugs Isabelle* Okay, we don’t have time to be too sappy, we have to tell everyone about Kyra’s giveaway! Isabelle: Oh yes! When Kyra released Game On in the summer, she did a very silly giveaway, offering one lucky winner a collection of Leah’s tacky souvenirs! It was so popular, Kyra has decided to do another silly giveaway this time around which relates to our time at Winter Wonderland. Blindsided Synopsis: After a successful first soccer season in L.A, Jesse Shaw heads to London with his best buddy, Hunter, but his world is turned upside down when a dangerous prank threatens his career and his blossoming relationship with Hunter’s cousin, Isabelle. Isabelle Mills lives in Notting Hill with her parents and her twin sister, Georgia. When she finds out her cousin is coming to stay, along with his famous soccer player friend, her first instinct is to hibernate until they’ve gone. However, once she meets Jesse, everything changes. He’s everything she ever wanted, but with so many obstacles in their path, can she really risk putting her heart on the line? Author Bio: Kyra Lennon was born on the South coast of England, and to this day, still lives by the sea. After years spent working in retail, where she met enough versatile characters to write hundreds of books, she finally took the plunge and quit her day job. Kyra's debut novel, Game On, was released in July 2012. While fiction writing has always been her passion, she also has numerous articles on a variety of topics published on prolific websites. I highly recommend Blindsided whether you've read Game On or not! It takes a popular character from Game On - the sweet-natured Jesse - and introduces a great new bunch of characters who really jump off the page. I found myself quickly caught up in their lives and problems. It also makes for a nice festive read at this time of year. Congrats, Kyra! Hey, it's like Roller Coaster Tycoon! Glad you're still having fun on your tour, Kyra. I think people are still discussing Christmas movies at my place. 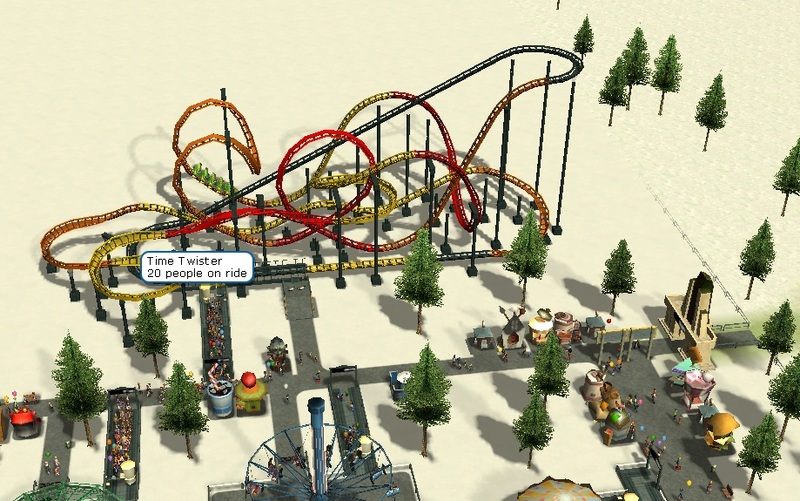 Love me some roller coasters! Seeing Kyra's book everywhere. Best wishes on your release. 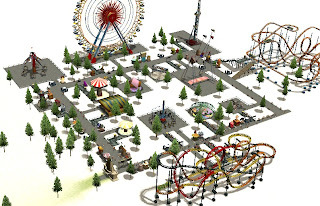 Also Winter Wonderland looks awesome. If I ever make it to England, I'm going to have to time it right so I can check it out. Thanks for sharing, Nick! Congrats on the release, Kyra! 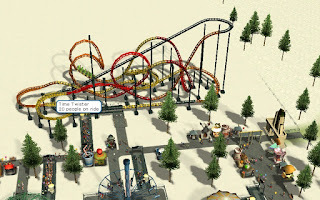 I love Rollercoaster Tycoon 3, it was a great idea to make Winter Wonderland on there! What a fun idea for a blogfest! And ooh, knitting! Good luck on your tour, Kyra, and congratulations on writing a new book! Thanks for posting those pictures, Nick. 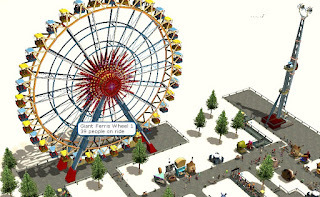 An amusement park as a story setting opens up a lot of possibilities. Thanks for supporting Kyra everyone. It's a very fun post! Thanks to all of you for your comments, and to Nick for being such a great CP, friend, and for letting me take over your blog! Jesse and Issabelle are so stinking cute! And I love the part with the hats. Cute idea for a giveaway Kyra! What a super fun post! Very creative: hat giveaways. It's been unseasonably warm here, so summer hats are more fitting for CO right now. Best of luck to Kyra. I have her book on my TBR list. Loved the rollercoaster ride! Now I'm dizzy. Congrats Kyra! Looking forward to reading it! And wow that roller coaster was cool!